My blog is there with all the exciting events from the IYA 2009 Opening Ceremony! Received a funny email from Rob Hill asking me to look at this link; oh well, is it any surprise the Irish beat the UK to launching their projects for IYA 2009 before the UK's? perhaps its their knack for winning Eurovision year on year or something in the water. 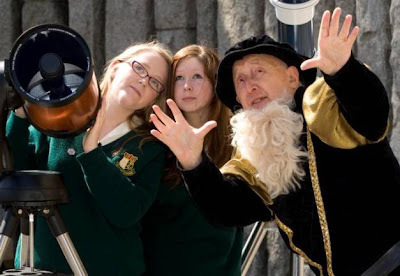 STUDENTS scanned the skies above Dublin yesterday, not in the hope of tracking alien life, but in honour of the world's most famous astronomer, Galileo. With the summer holidays almost in sight, pupils are already being urged to put their thinking caps on ahead of next year's BT Young Scientist and Technology Exhibition. Next year will be the International Year of Astronomy and will be 400 years since Galileo first used a telescope to study the heavens. In honour of this anniversary, the annual science exhibition will have spectacular displays on the theme of astronomy at the RDS next January. Now entering its 45th year, the exhibition hopes to attract a record number of projects in 2009. Last year, students from around the country entered 1,416 projects, covering every aspect of science. Chris Clark, chief executive of BT, said: "The BT Young Scientist and Technology Exhibition is one of the finest showcases in the world for science, technology and mathematics. This 32-county exhibition provides a platform for our young scientists and technologists to come together to investigate theories, discover new technologies and advance current knowledge through innovation. "Continued focus is needed on developing Ireland as a knowledge economy. We believe this exhibition en-courages schools throughout the island to have an interest in the skills that will help Ireland advance and thrive." I wonder if it was the same Galileo who appeared at the ASE conference this year?! Listening, trying hard to chill out while battling with 6 funding proposals now all wrapped round seeking funding for the IYA 09 projects. Listening to Underworld and this lyric stood out... Moondog bleached by the Sun. I've often done with this friends sat around when bored... asking them to come up with a title or a line from a song around a theme or a situation. What would be your Cosmic Soundtrack? 10. Across the Universe - The Beatles - would you believe this track was beamed to the pole star by NASA? 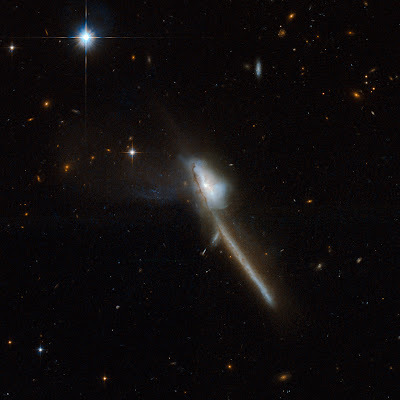 and now its started an argument between astronomers who are saying that if interpreted as a blattle cry it could start an alien invasion! If you don't beleive me, check out the link to the story... scary! 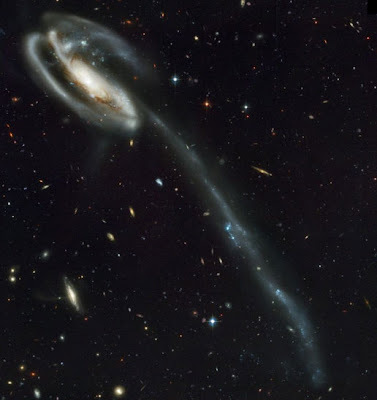 Information on how Universe Awareness will be operating in the UK has been added to the Universe Awareness Website at http://www.unawe.org/ . As UK Co-ordinator I am aiming to link up the current UNAWE efforts to the current UK science education networks and make the unawe resources and educational materials accessible to teachers across the four national UK regions. The UK UNAWE network is growing by the day and next week on May 10th I will be giving a brief update on UNAWE and the Galileo Teacher Training Programme at the British Association for Planetaria AGM which will be held at the LIFE Centre in Newcastle.